Wisconsin governor Scott Walker won decisively in yesterday’s recall election. In your April essay on super-PAC donors, you said the Walker recall might prove “the second most consequential political battle of 2012.” Now that it’s over, how do you assess the consequences? Consequential, thanks in no small part to those donors. 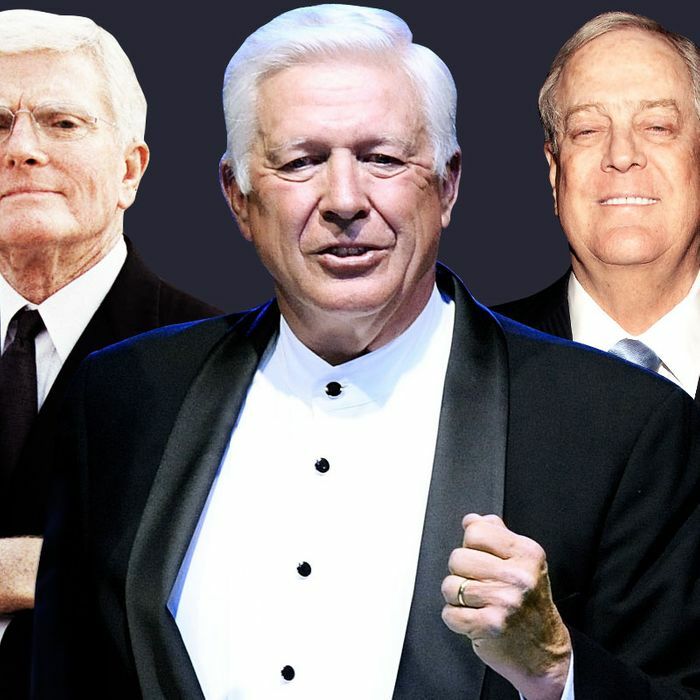 Walker outspent Barrett, his Democratic opponent, exponentially, much of it coming from some of the outside-the-state sugar daddies I wrote about back then: Bob Perry, Foster Friess, David Koch. They got what they paid for, a big defeat for organized labor, a symbolic defeat for Democrats, and a victory for a world view in which unions, government regulation, and taxation are all nuisances that should be stamped out so that Ayn Rand vulture capitalism can triumph unimpeded. Republicans gleefully (and some Democrats glumly) called out President Obama for failing to show up in Wisconsin to support the recall effort. Did they have a point? Obama has learned the hard way that he should stay out of elective battles he might lose, from his ill-fated attempts to thwart the victories of the (now) governors Chris Christie and Bob McDonnell in New Jersey and Virginia to his mad dash to Copenhagen to salvage Chicago’s Olympics bid. He was right to stay out of Wisconsin. Romney stayed out too. Some had suggested that the entire recall effort hurt Obama’s chances in Wisconsin, by mobilizing the GOP there and turning off independents with a bitter partisan fight. Do you buy that argument? No. It’s a long way from June to November. The state has been in play since Walker won the first time around, and the recall election did not change that fundamental equation. The birthplace of the progressive moment is also the birthplace of Joe McCarthy. One bright spot for the President — exit polls from yesterday showed him winning Wisconsin by 7 percent. Stranger still, 18 percent of Walker voters support Obama. Should we take that as a sign that this election had more to do with internal Wisconsin politics than the national climate? And who are these 18 percent who would vote for a anti-labor tea-party governor but would still support the president? It’s further proof that Romney remains off-putting to a goodly share of those Republicans who were desperate to find an anyone-but-Mitt substitute during the prolonged primary season. Romney remains the most important political asset that Obama has in this campaign. Bill Clinton appeared with Obama at three New York fund-raisers on Monday night, helping him rake in over $3.5 million. But Clinton has been a pretty erratic surrogate lately. After saying Mitt Romney’s business record was “sterling,” he told CNBC yesterday that the Bush tax cuts should be renewed. What’s he thinking? Like Cory Booker, Clinton is more at home with the one percent than Obama — not least because he needs its heavy hitters to support his foundation in the style to which he has become accustomed in his post-presidency. Are we seeing a replay of the 2008 race, when Big Dog was widely viewed as more liability than asset to his wife? What should the Obama campaign do with Clinton? Name him a new Middle East envoy? Send him and Bono on an extended humanitarian mission to outer space and revive NASA in the bargain? Between Clinton, Booker, and Anna Wintour, the campaign seems to be trapped in surrogate hell. The 43-second Wintour video in particular is must-see YouTube for aficionados of pure camp. It is intended to seduce the little people into participating in an auction for seats at a fancy-pants, Wintour-hosted fund-raising dinner with Michelle Obama in New York next week. But it comes across as arrogant, cold, and condescending: Wintour rarely deigns to look directly into the camera, as if the low-rent audience isn’t worthy of her gaze. A parody of liberal elitism — in a British accent yet! Who at Obama HQ thought this stunt up? I thought Desiree Rogers had left. The May jobs report that came out last Friday was full of grim news. The Times emphasized its impact on Obama’s chances and called it “serious vulnerability” for his reelection. Did it change your thinking at all about this race? No. Obama’s biggest opponent has always been the economy. No one can predict where it will be in November, and it is, in any case, out of his control now. The GOP is rooting for the economy to keep swooning — and will continue to do everything it can in Washington to undermine it. And then there’s Europe. Karl Rove’s American Crossroads put out an attack ad this week that accused Obama of putting out attack ads to distract from his record. Shameless hypocrisy? Or do they have a point? Does Obama really want to avoid making this election into a referendum on his first four years? The hypocrisy is shameless, of course. Obama should do a better job of selling his actual first-term achievements, which are considerable, including on job creation. But the time has come for turning this election into a referendum on Romney and the radicals whose bidding he would do in the White House. A poll out of Minnesota yesterday suggests that a proposed amendment banning gay marriage is drastically losing support. Is this evidence of the much-maligned power of presidential persuasion? Or just part of a national trend of acceptance? Polls do show that gay marriage support has accelerated since Obama came out for it — not just in Minnesota but among African-Americans, a far different demographic (and historically, one more hostile to marriage equality for gays). Even so, we now have a consistent pattern where voters tell pollsters they are more liberal on this issue than they prove to be in the voting booth. The bigger news this week on the marriage front was the refusal of the U.S. 9th Circuit Court of Appeals to reconsider a three-judge panel’s earlier decision to strike down Prop 8 in California. This fast-tracks the issue to the Supreme Court. After all the rancor in politics this week, is there at least one bright spot of consensus in the country? There is, actually. The left and right and center were united Tuesday night in ridiculing CNN’s ludicrous decision to downplay the Wisconsin recall results in favor of running already dated video of the Queen’s Jubilee in London. If only Anna Wintour and Monty Python had been on hand, it would have been a comedy classic.